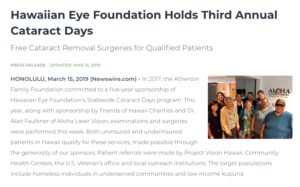 HONOLULU, March 15, 2019 (Newswire.com) – In 2017, the Atherton Family Foundation committed to a five-year sponsorship of Hawaiian Eye Foundation’s Statewide Cataract Days program. This year, along with sponsorship by Friends of Hawaii Charities and Dr. Alan Faulkner of Aloha Laser Vision, examinations and surgeries were performed this week. Both uninsured and underinsured patients in Hawaii qualify for these services, made possible through the generosity of our sponsors. Patient referrals were made by Project Vision Hawaii, Community Health Centers, the U.S. Veteran’s office and local outreach institutions. 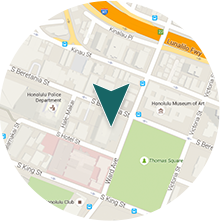 The target populations include homeless individuals in underserved communities and low-income kupuna. The patients from the Big Island, Molokai, Maui and Oahu were evaluated in February and March by the doctors and staff of Aloha Laser Vision. Those that qualified and were cleared for surgery were provided with free cataract surgery on March 11, 2019, at the Surgical Suites LLC. Those in need of prescription glasses were provided with prescriptions and glasses were donated by OneSight. All patients were given restored vision and seen the following day for post-operative appointments. 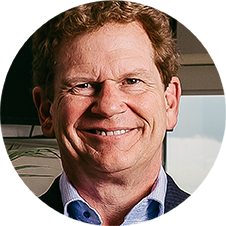 Dr. Alan Faulkner of Aloha Laser Vision, along with his office manager Leona Tamura and their incredible staff, donated their time and talent for all exams and surgeries. Special thanks to Dr. Adrienne Ma for donating her time as the anesthesiologist and to the partners of the Surgical Suites LLC – Dr. Ming Chen, Dr. Alan Faulkner, Dr. Tyrie Jenkins, Dr. Carlos Omphroy and Dr. Jon M. Portis – for allowing Hawaiian Eye Foundation to hold this event at their surgical center. 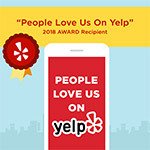 We are grateful to partner with Atherton Family Foundation, Friends of Hawaii Charities, the doctors and staff of Aloha Laser Vision and Surgical Suites LLC, Project Vision Hawaii, ASCRS Foundation, OneSight and John M Cab 797 to bring this service to our ohana on Oahu and the neighbor islands. For anyone who needs cataract surgery but does not have insurance or cannot afford the surgery due to hardship, please email us at contact@hawaiianeyefoundation.org or visit our website at www.HawaiianEyeFoundation.org for more information. The Hawaiian Eye Foundation (HEF), established in 1984, is a 501(c)3 ophthalmology charity that focuses on providing the resources for the growth of eye care in developing nations. In addition to providing resources for sustainable clinics and sub-specialty training to local ophthalmologists, HEF volunteers perform sight-saving surgeries in remote areas around the world. http://hawaiianeyefoundation.org.